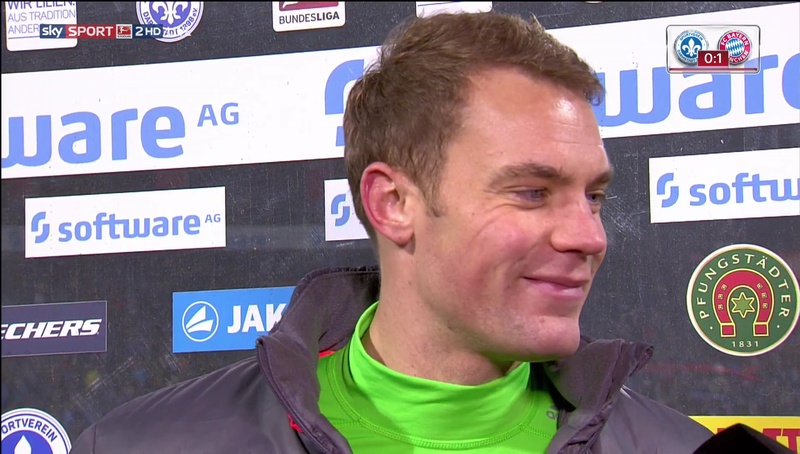 Three goals and three points but only one man of the hour. 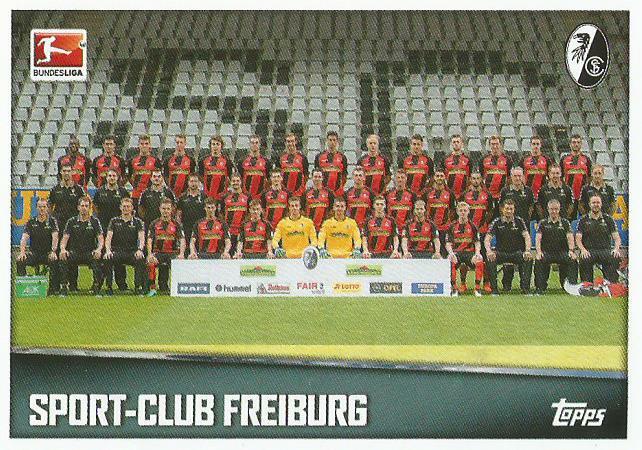 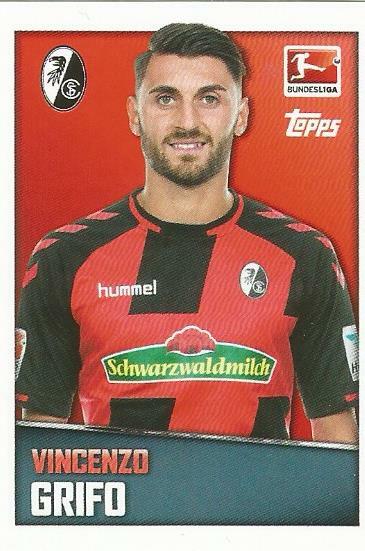 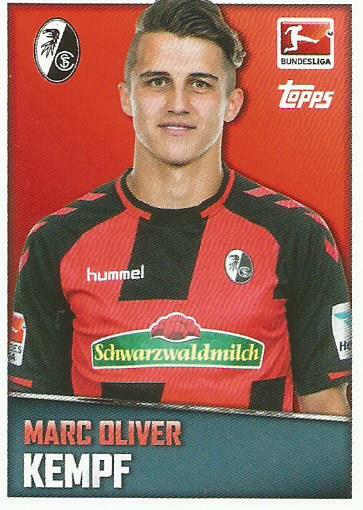 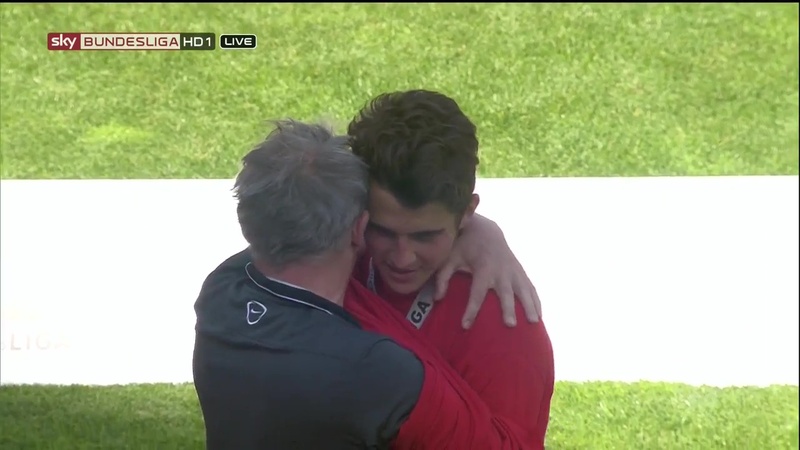 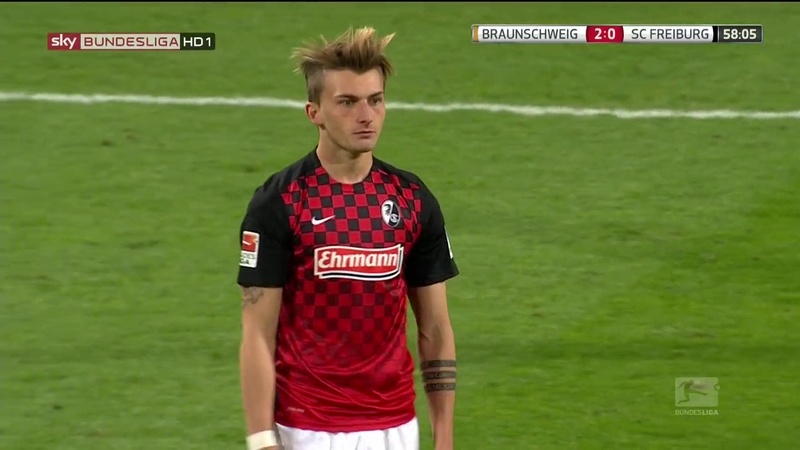 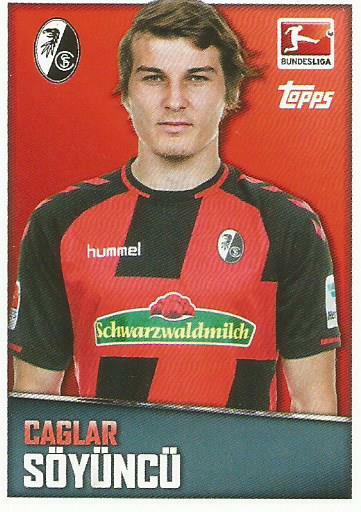 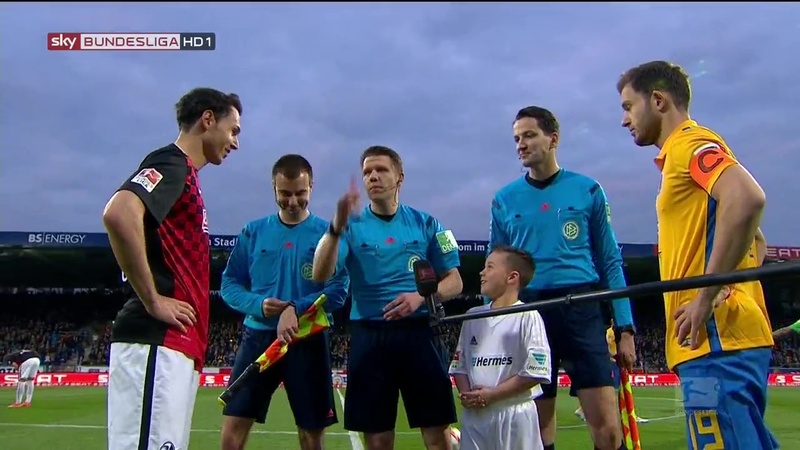 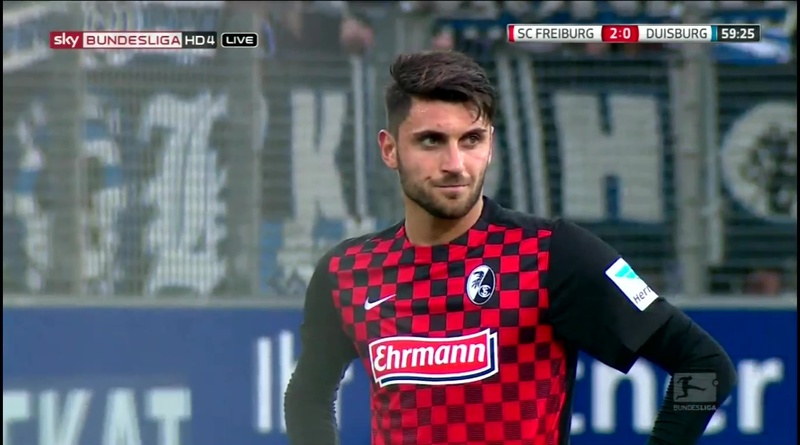 Monday night it was Marc-Oliver Kempf who came to Freiburg’s rescue but Friday evening was all about Vincenzo Grifo. 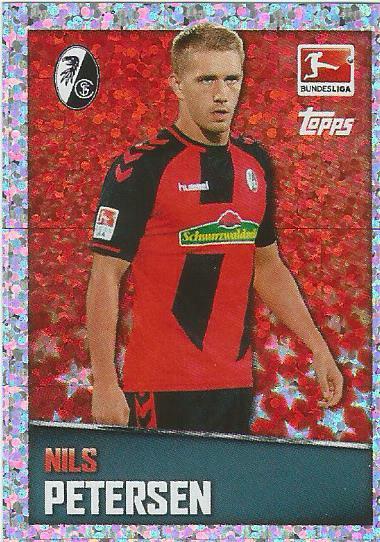 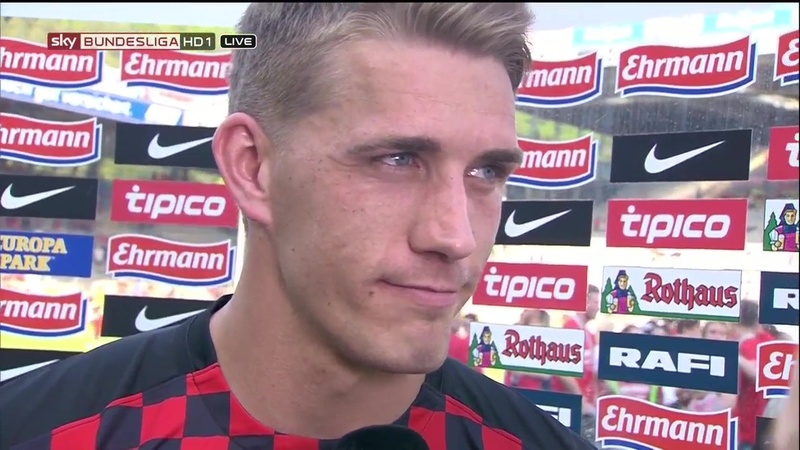 He played a part in all three of Freiburg’s goals, scoring the first himself from another wonderfully taken free-kick, assisting the second via another free-kick and finally winning the penalty which of course Nils Petersen slotted home. 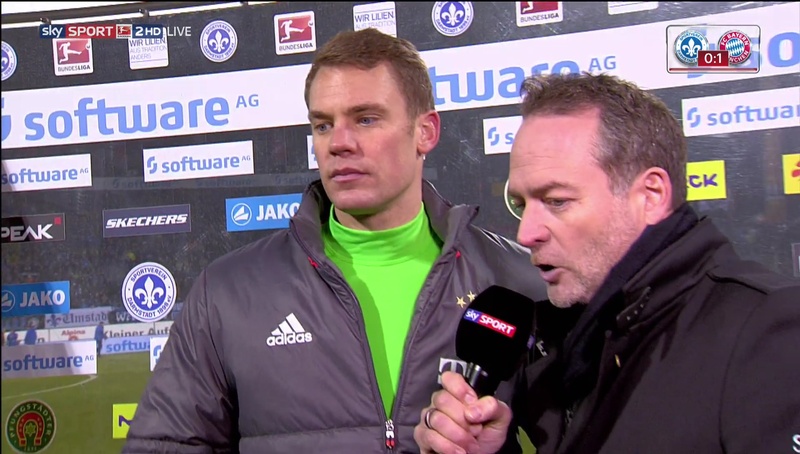 Because the night wouldn’t be perfect without Petersen on the score-sheet too. 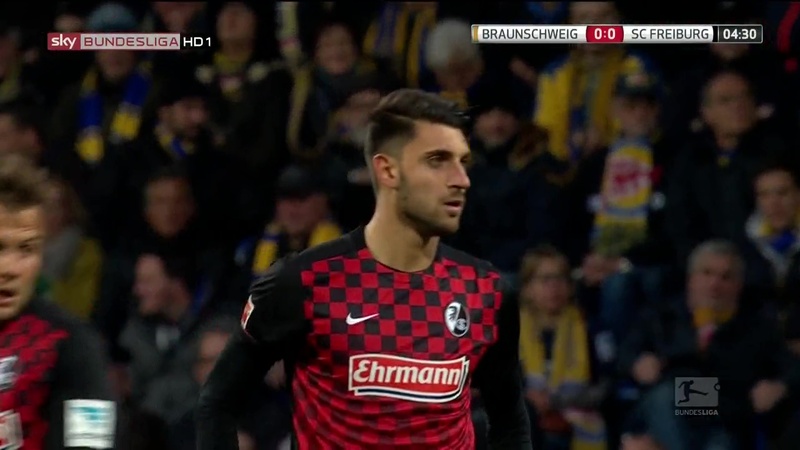 It wasn’t all Grifo did however, in the second half he came close to making it three as well as almost setting up Petersen to score. 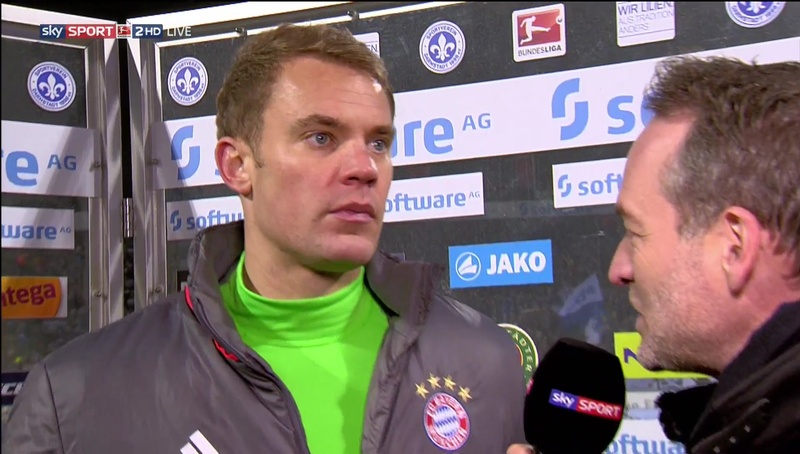 All in all it was a most perfect evening and had the results gone the right way on Saturday it could have been a perfect weekend. 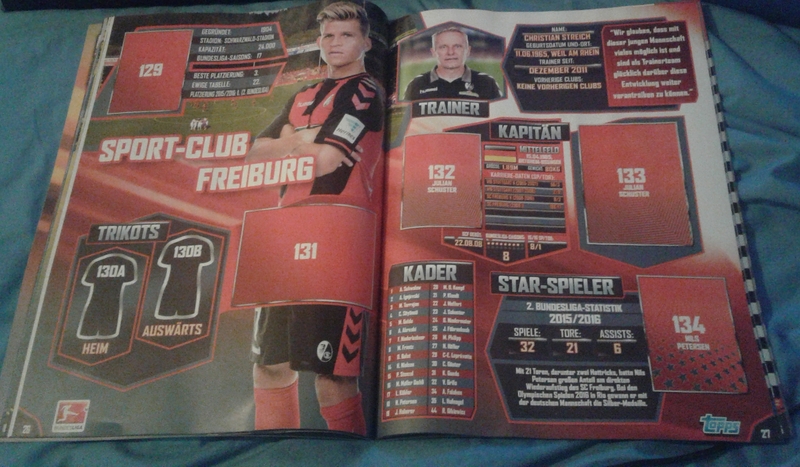 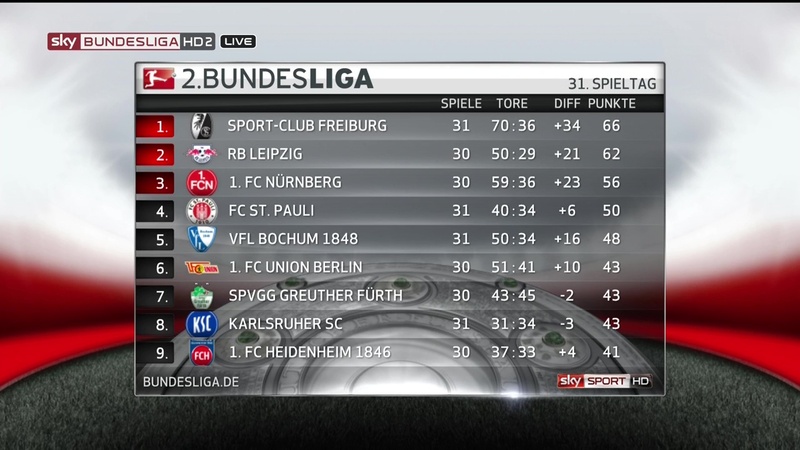 Because if 1.FCN had lost to Union Berlin then it would have confirmed Freiburg’s return to the top flight . 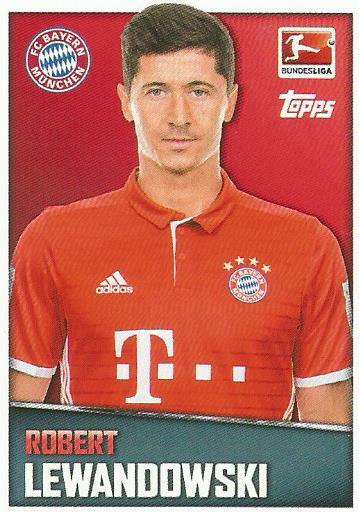 In a quirk of fate that almost happened but it was of course too good to be true. 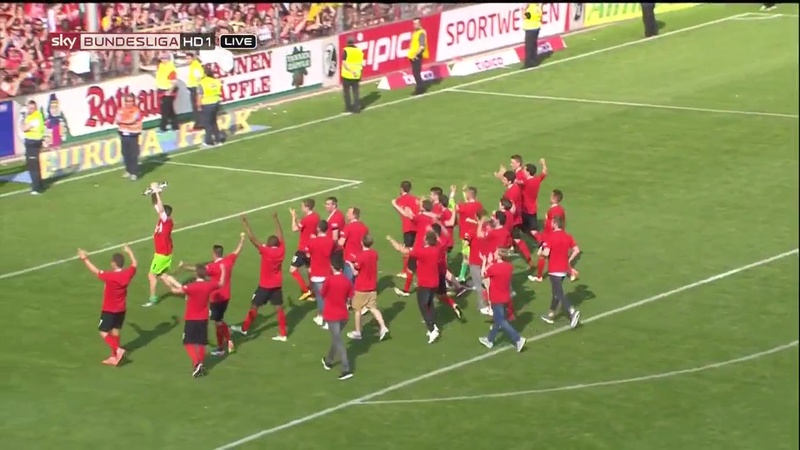 After being 2-0 down at half-time 1.FCN turned things round to win 6-2. 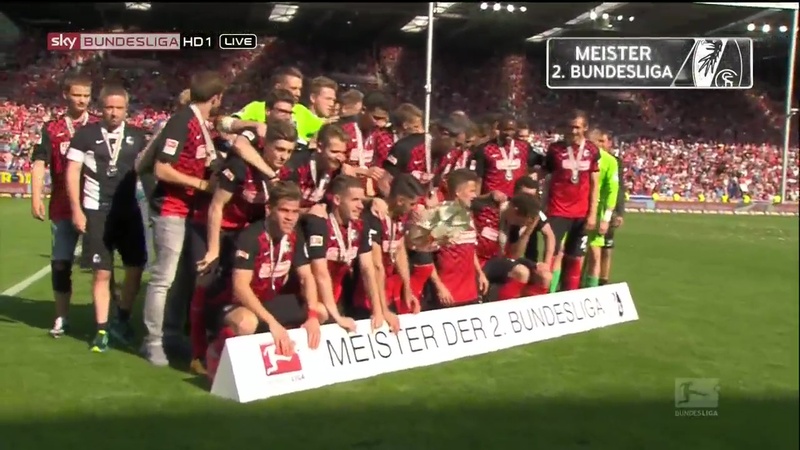 Meaning the celebrations will have to wait, it’s unlikely anything can go wrong at this point but I don’t want to curse it. 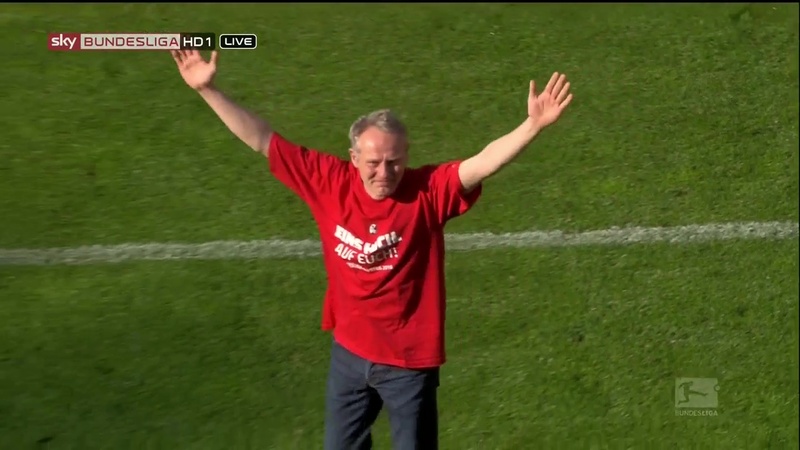 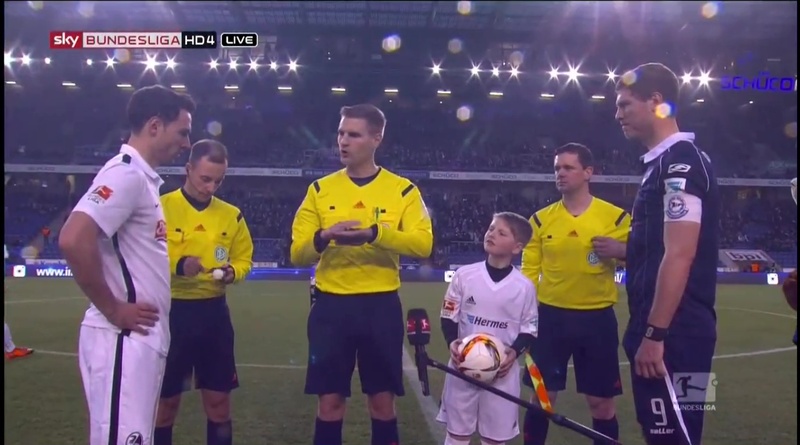 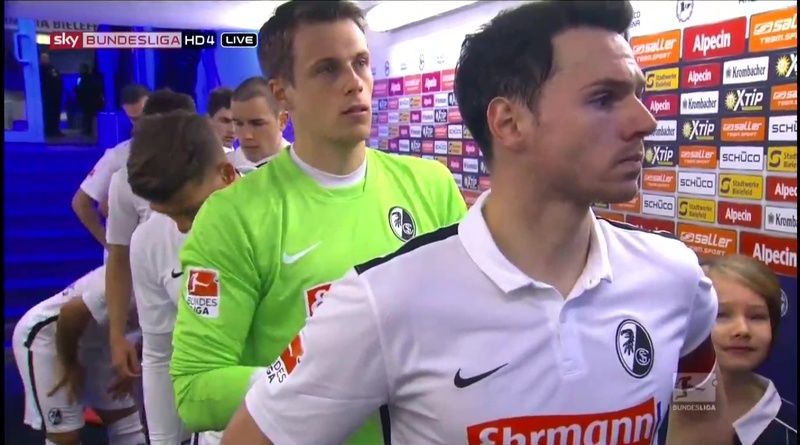 Before the game Christian Streich talked about having respect for Bielefeld and not underestimating them. 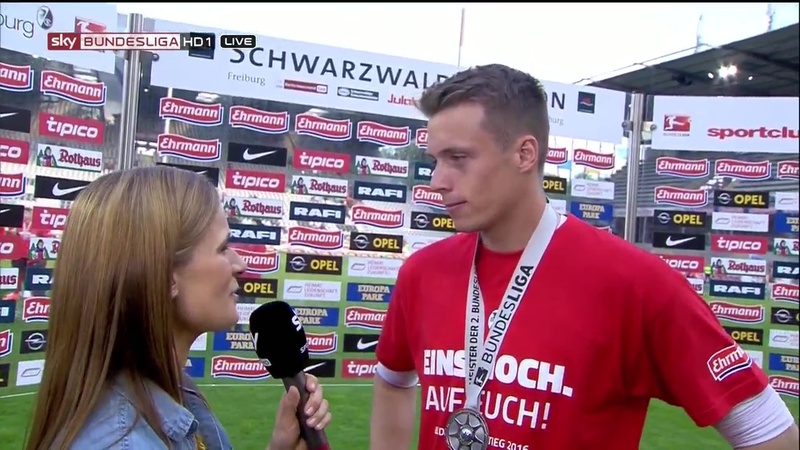 His words were neither patronizing nor misplaced. 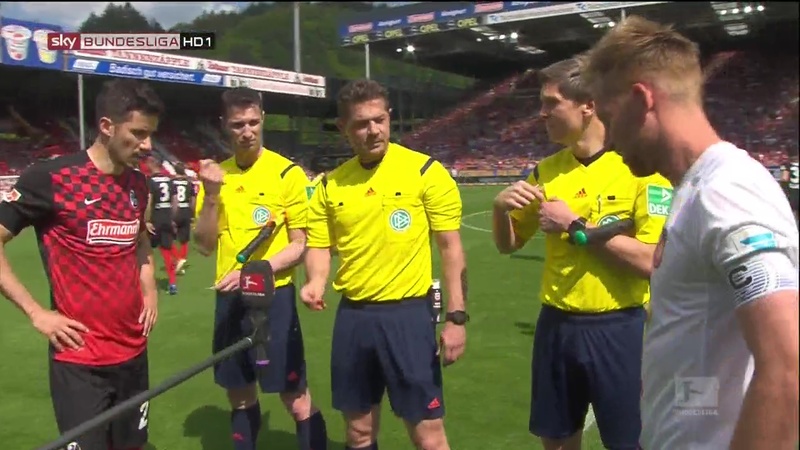 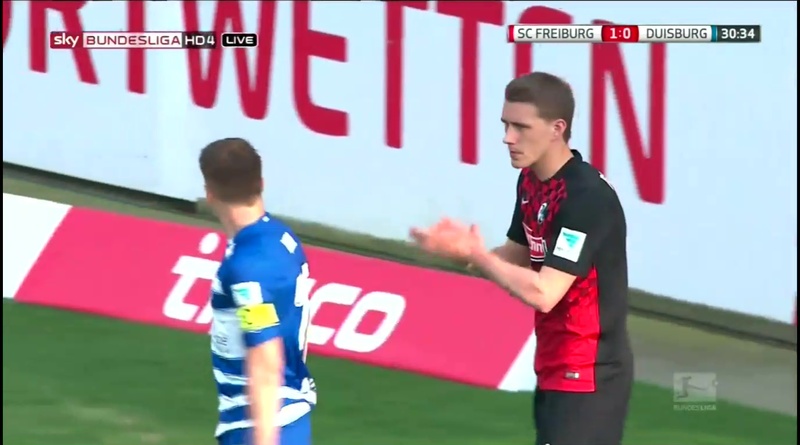 After all Bielefeld drew 2-2 with Freiburg at the Schwarzwald Stadion and would have won 2-1 had it not been for a last minute goal by Lucas Hufnagel. 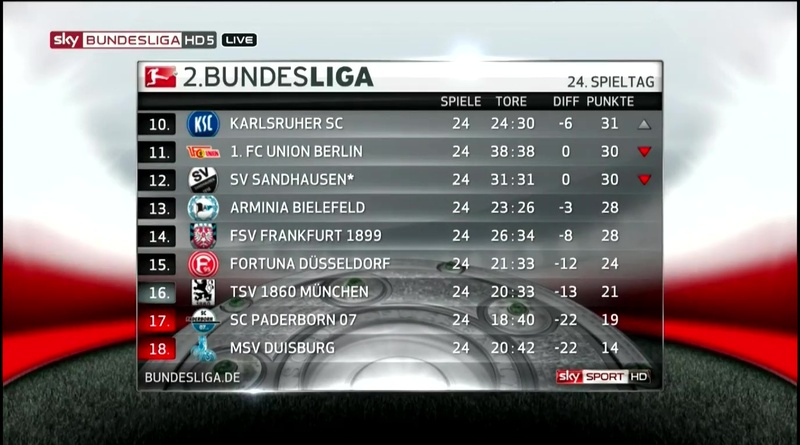 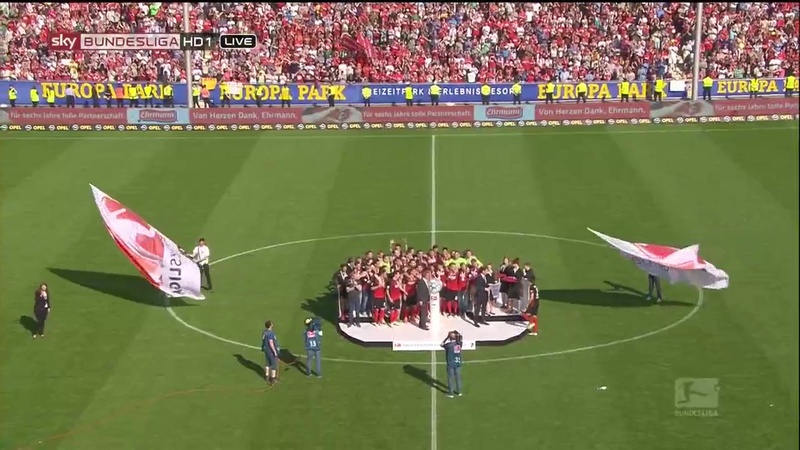 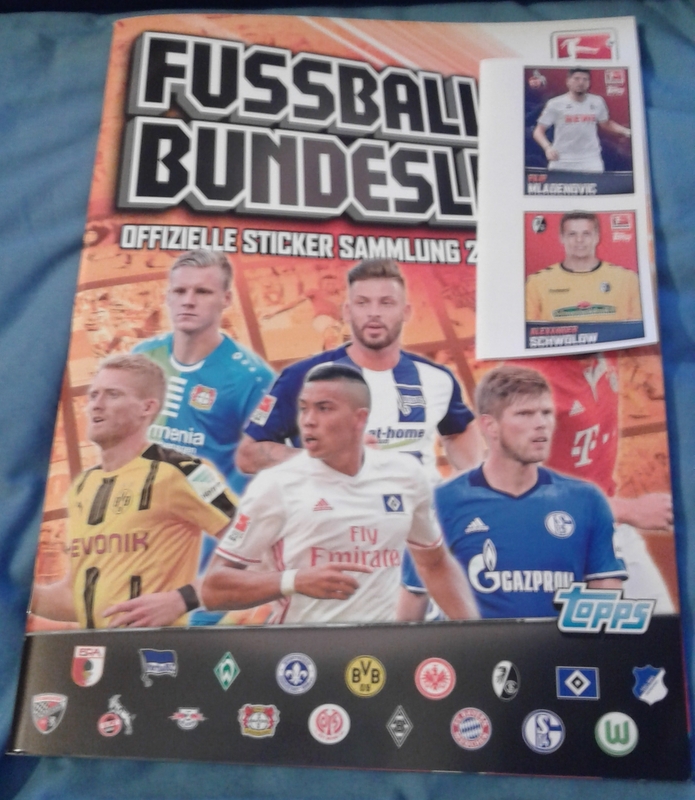 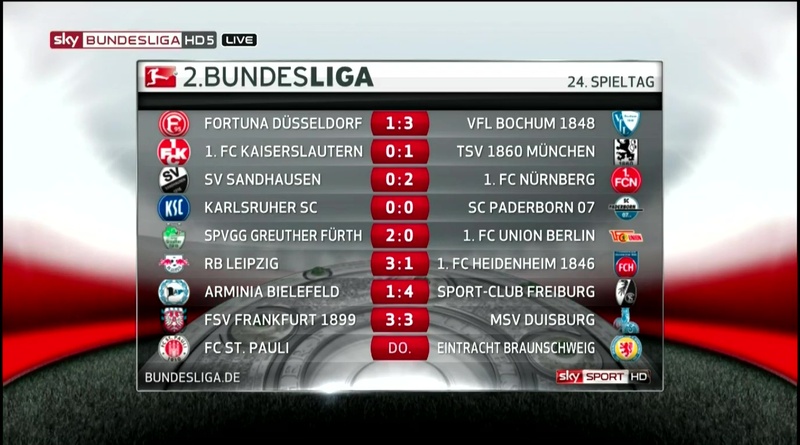 They also drew 1-1 with Bochum and 2-2 with 1.FCN, not to mention only losing 1-0 to RB Leipzig. 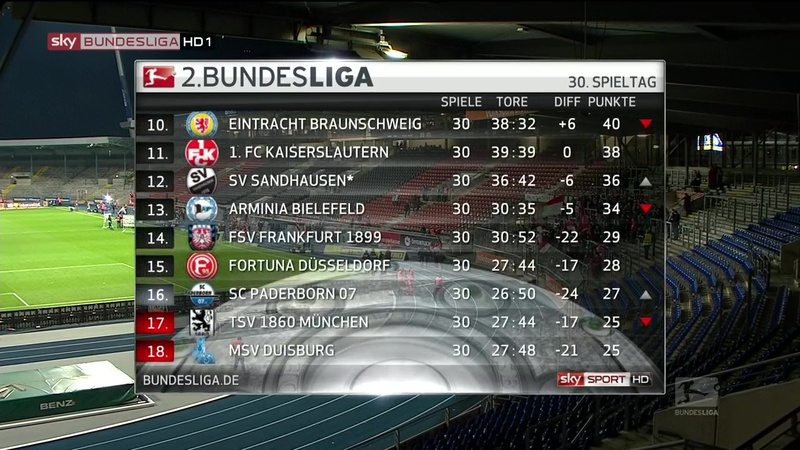 One thing is for certain Bielefeld are not an easy team to break down. 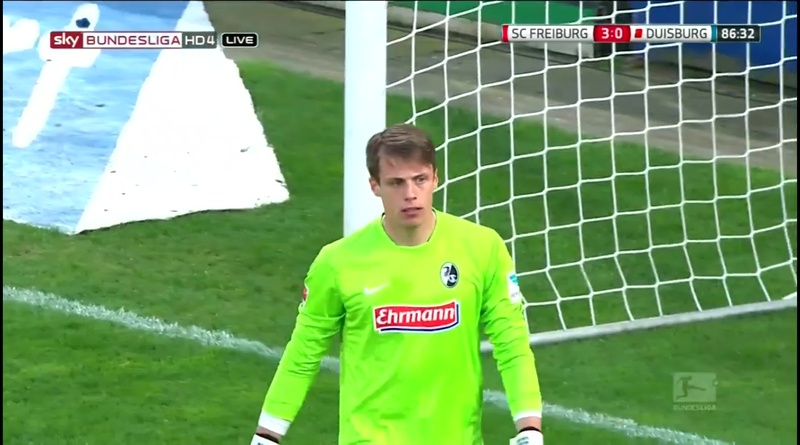 Before this game they had only once conceded three goals in a game, when they lost 3-2 to Heidenheim. 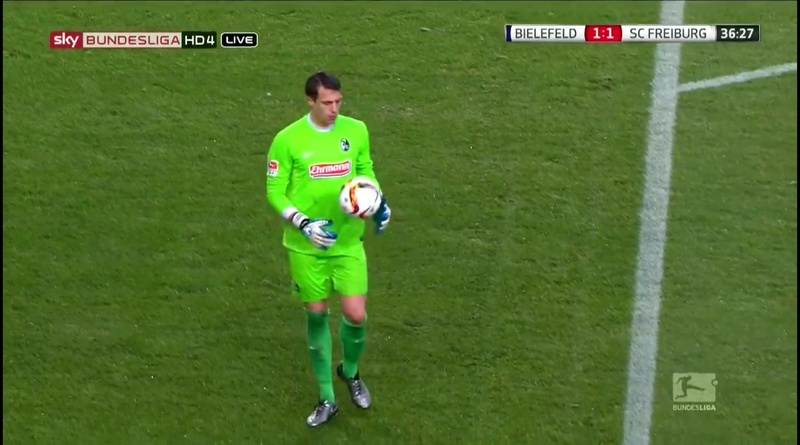 And they’d never conceded three in one half. 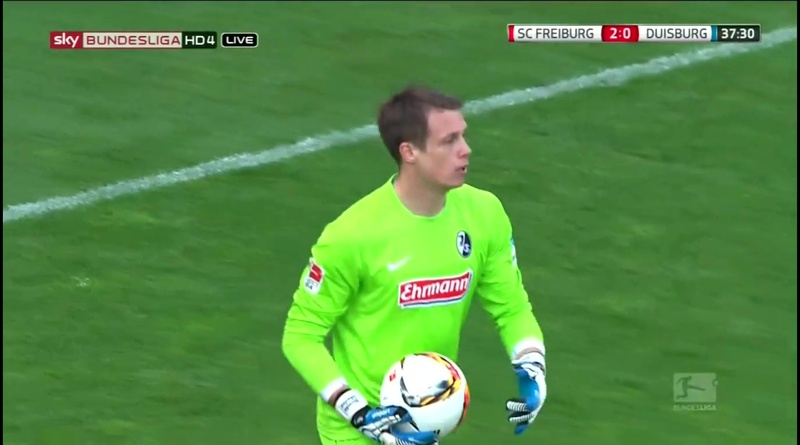 They are usually a team which defends exceedingly well Up till this point they’d conceded in total 24 goals. 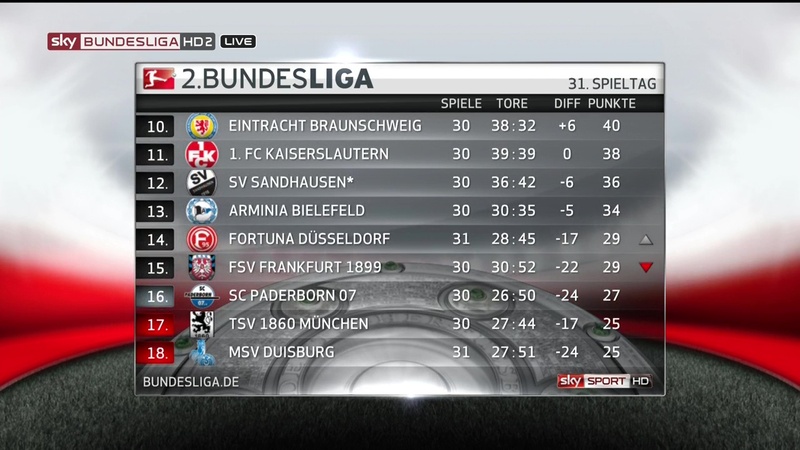 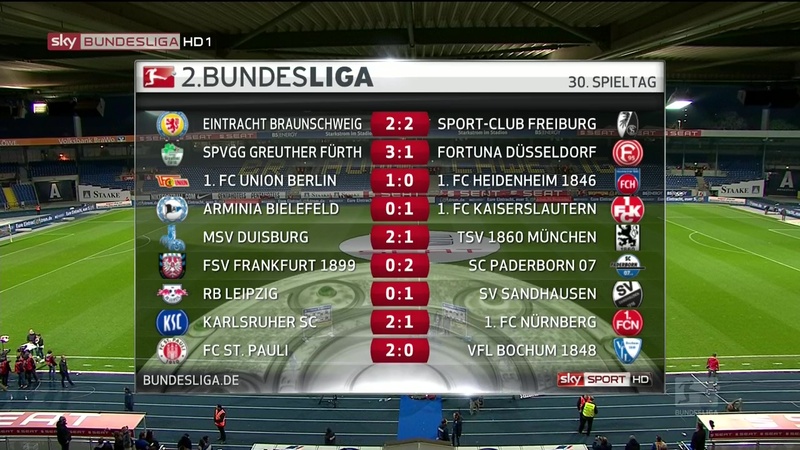 By comparison Freiburg conceded 26, of course Freiburg were also outscoring everyone else to balance that out. 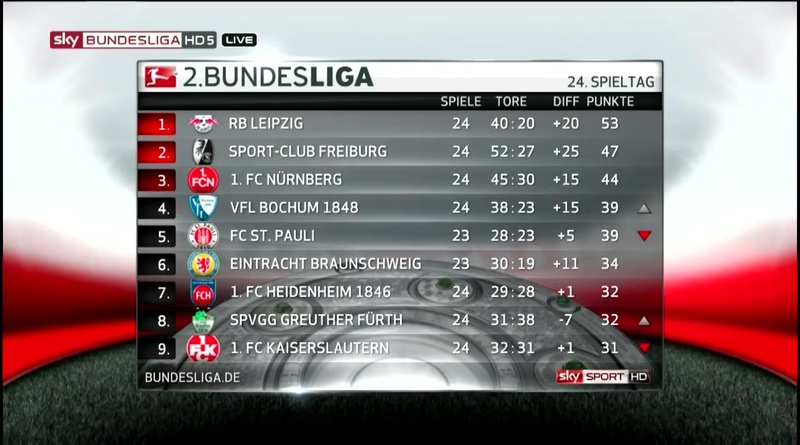 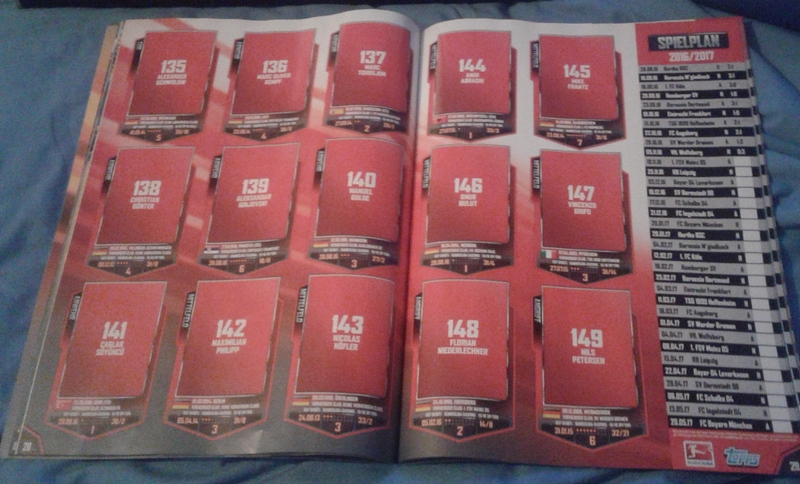 Bielefeld on the other hand are masters of the draw, having racked up 13 of them in 24 games. 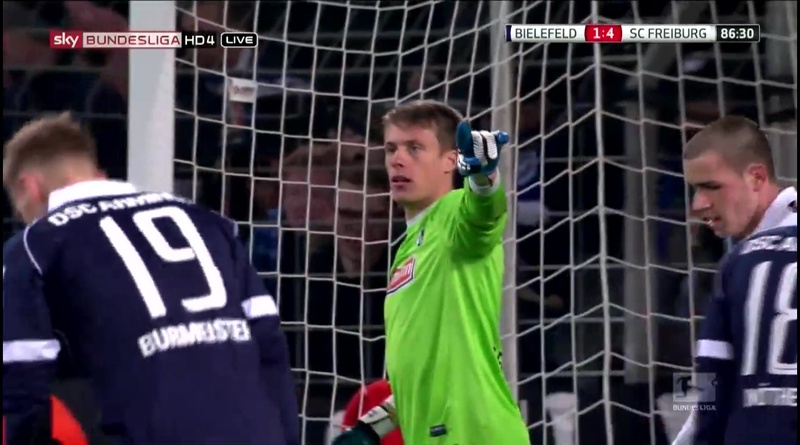 Given their obvious defensive focus it came as a surprise then that they got the first shot on goal, though it was off target. 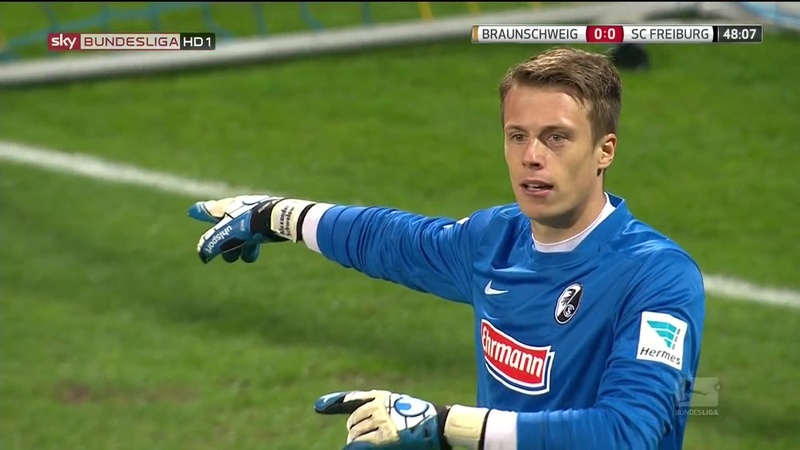 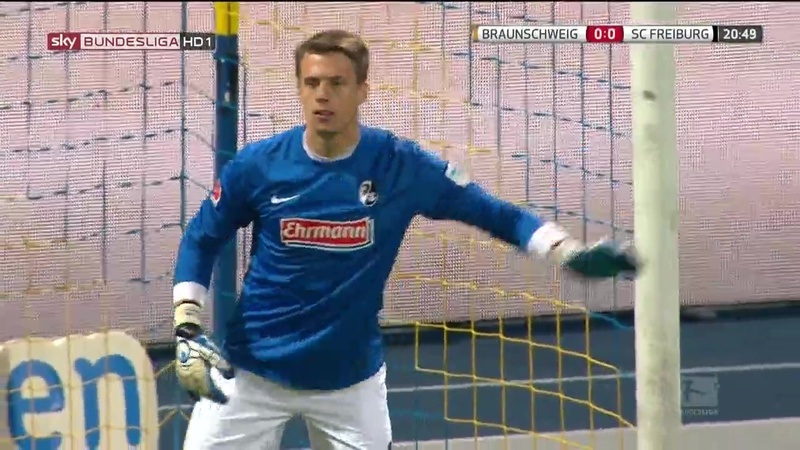 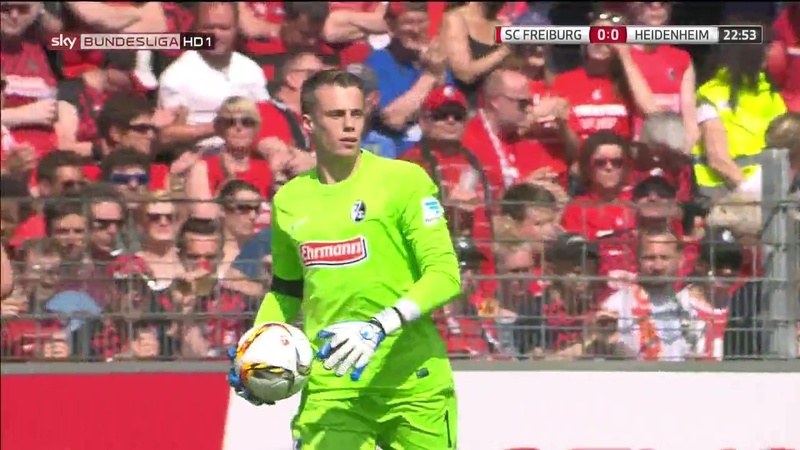 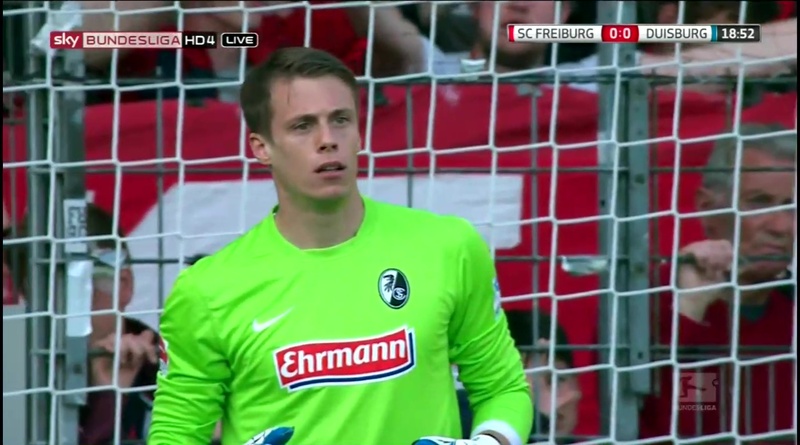 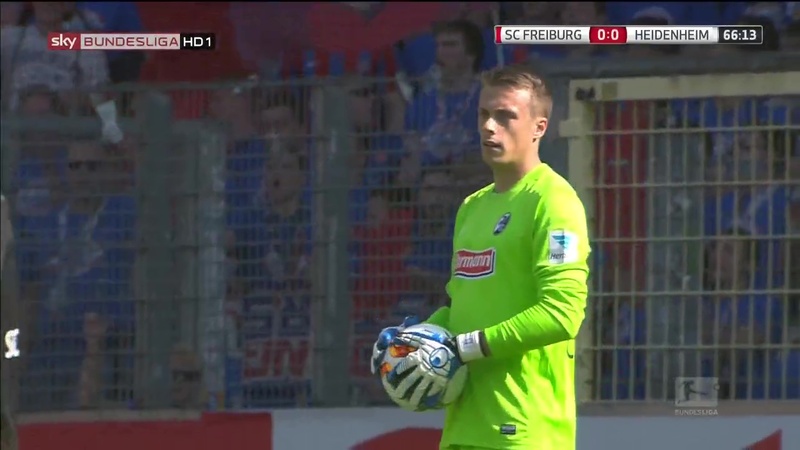 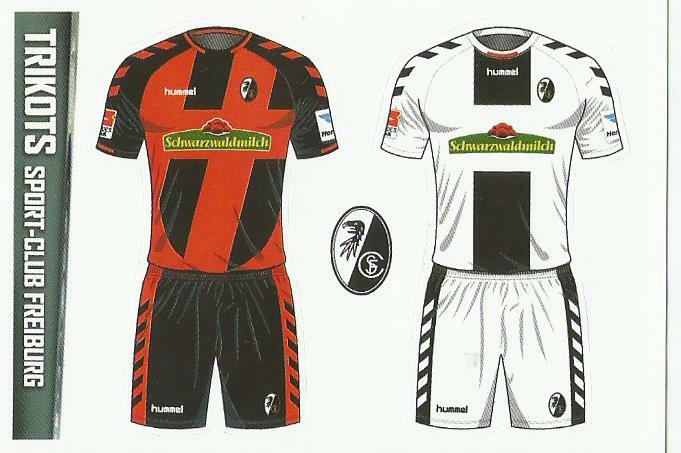 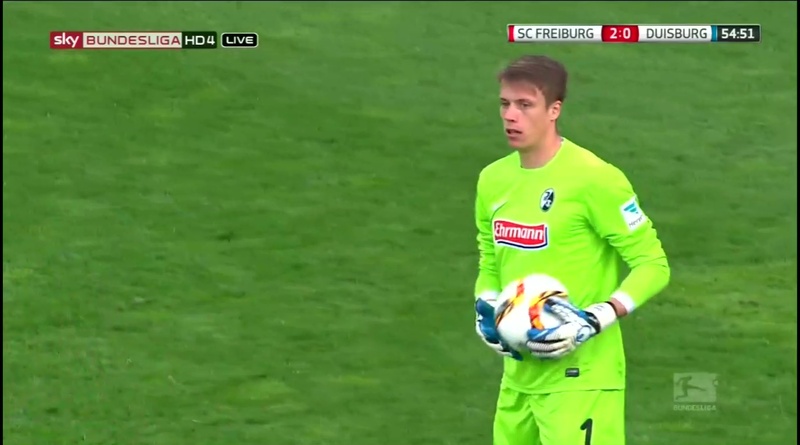 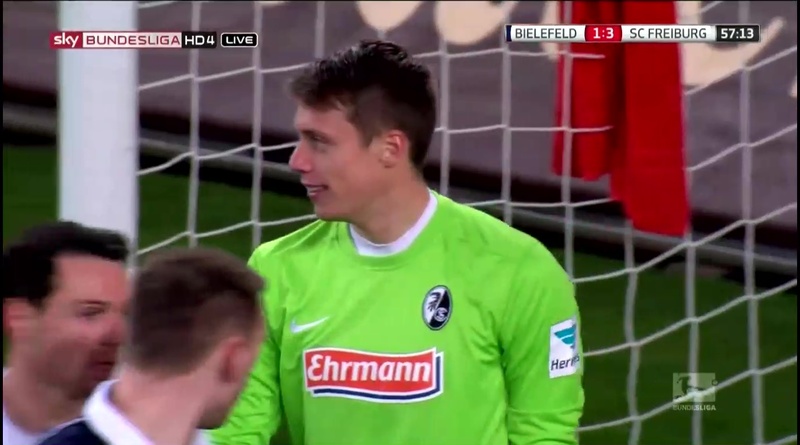 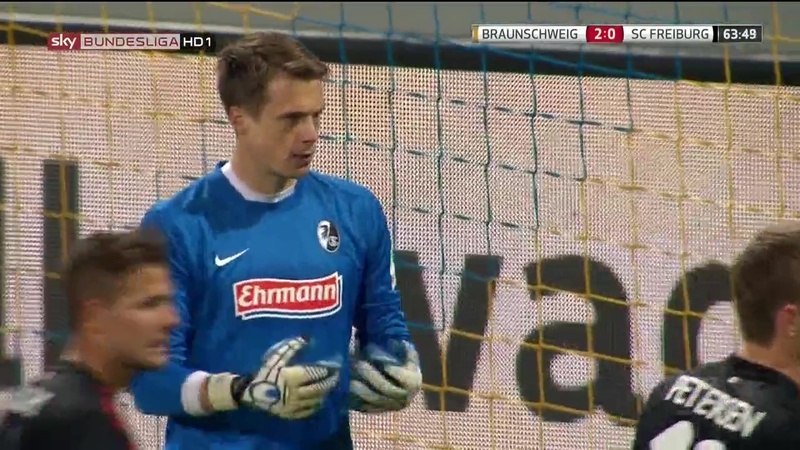 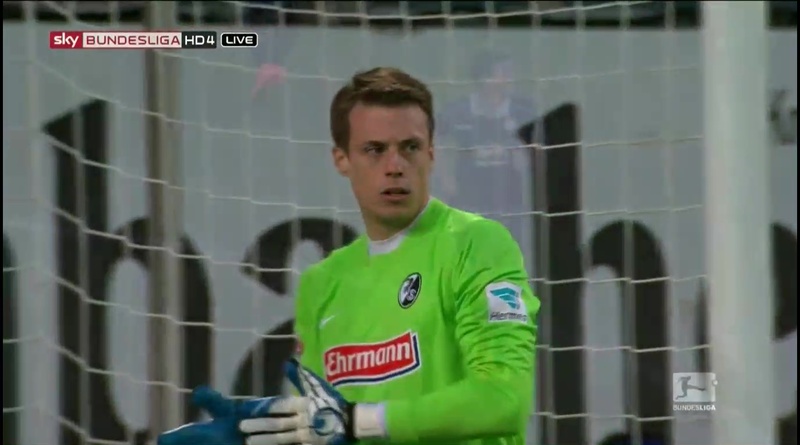 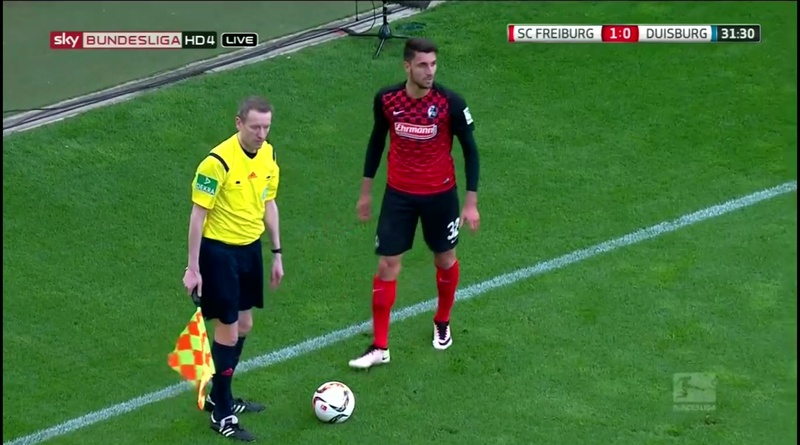 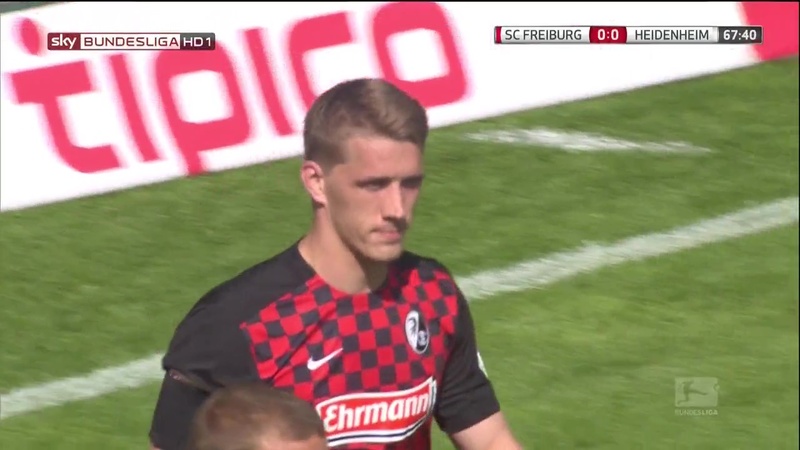 But Freiburg’s first goal was to set the pattern for the game. 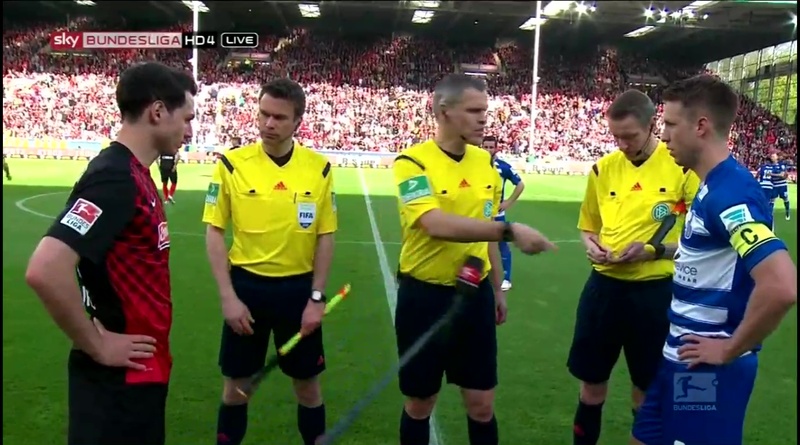 It was their first shot on goal, their first attack in fact. 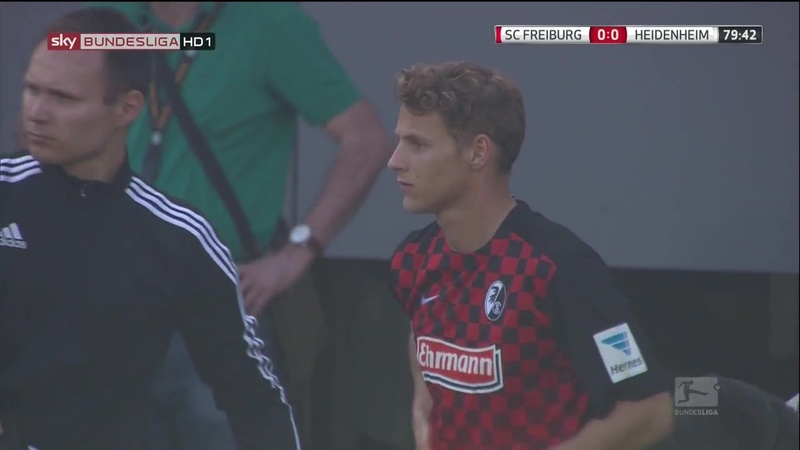 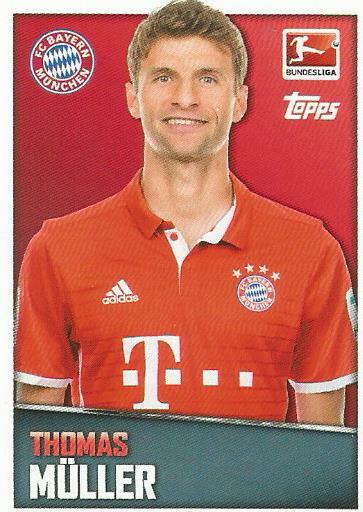 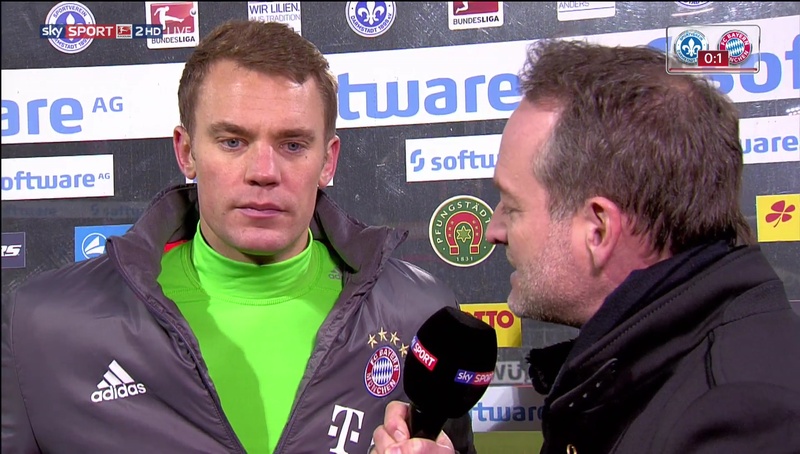 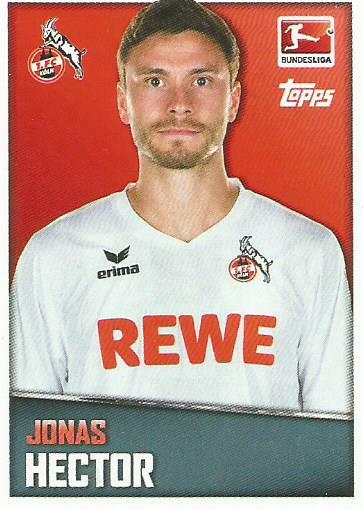 Petersen was on the bench so it wasn’t “ice cold Petersen” this time but Florian Niederlechner. 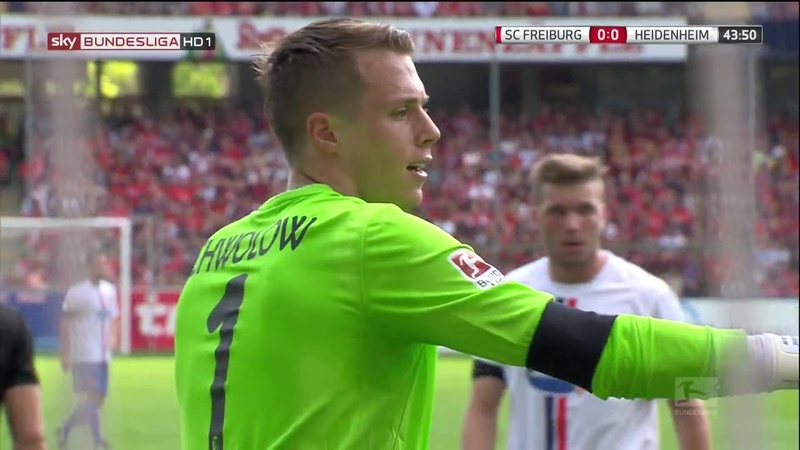 Fittingly given the fact this was a homecoming of sorts for Schwolow he was the one who started the play. 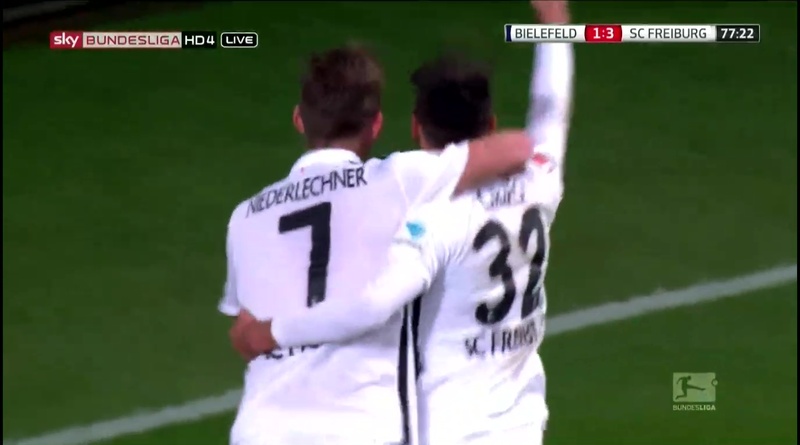 A long ball from him up-field, headed on by Grifo and then picked up by Niederlechner. 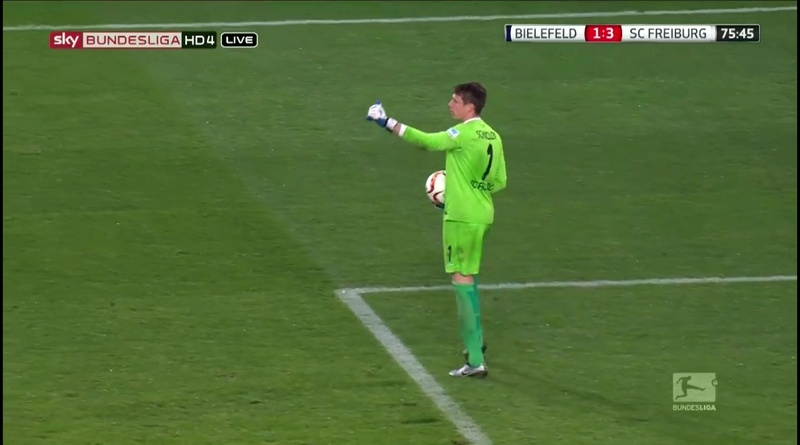 Now he did get lucky because the ball took a slight deflection off a defender, but it was all skill when he put it past the keeper. 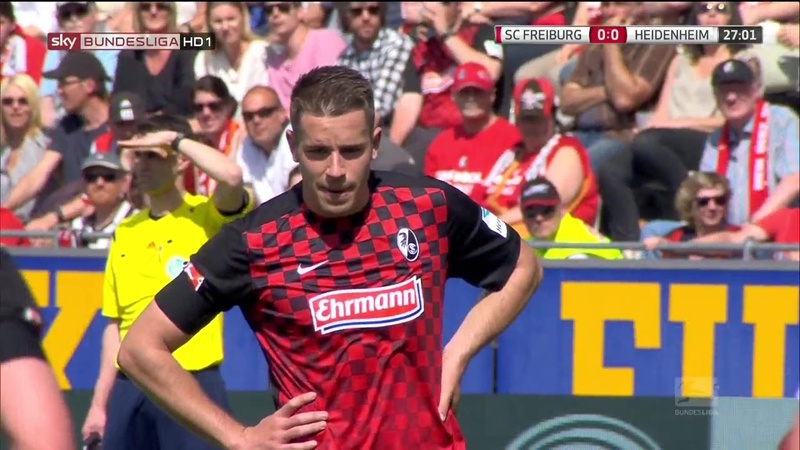 This wasn’t a game which had a great deal of chances but what counts is Freiburg took the ones they got. 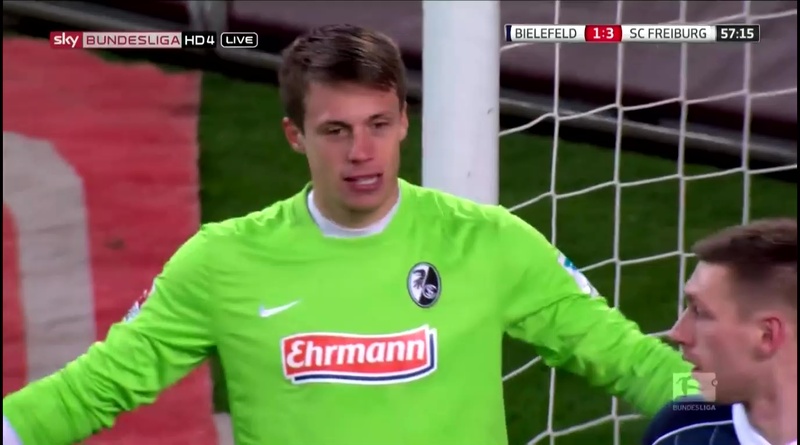 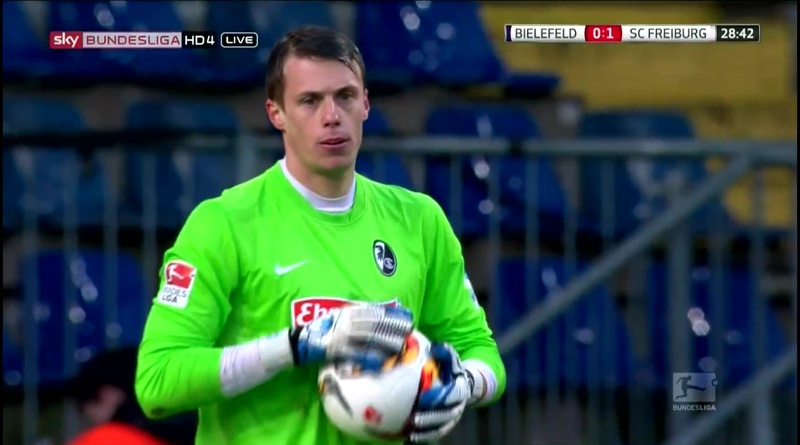 It was a case of keeping up the pressure on Bielefeld and waiting for the cracks to show. 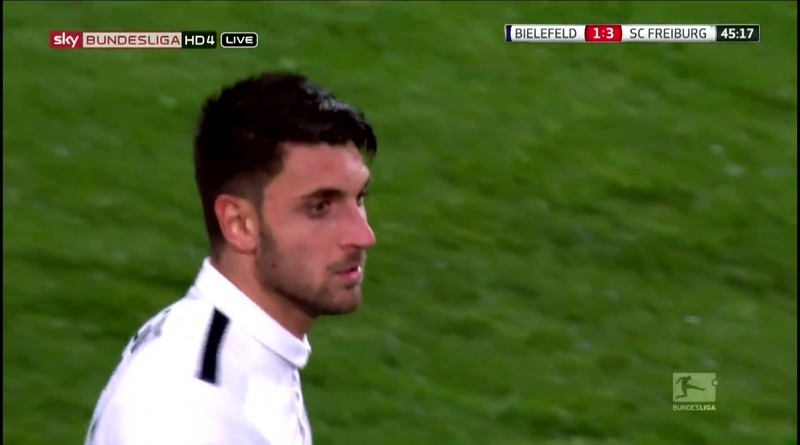 The good start however was not to last with Bielefeld getting the equaliser through Christopher Nöthe in the 31st minute. 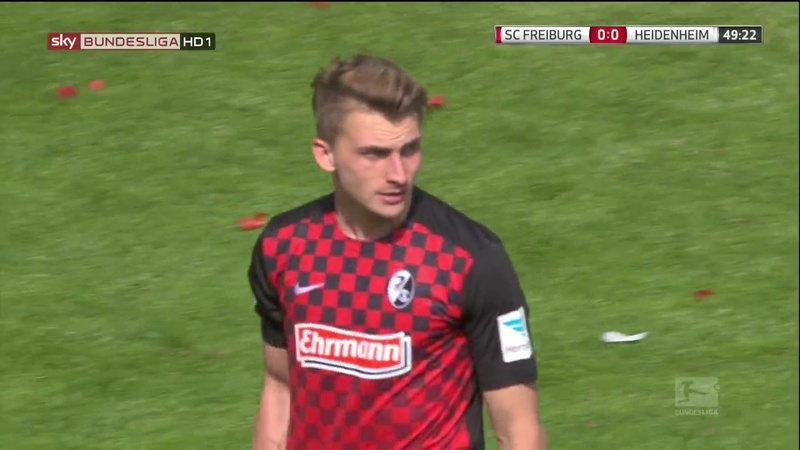 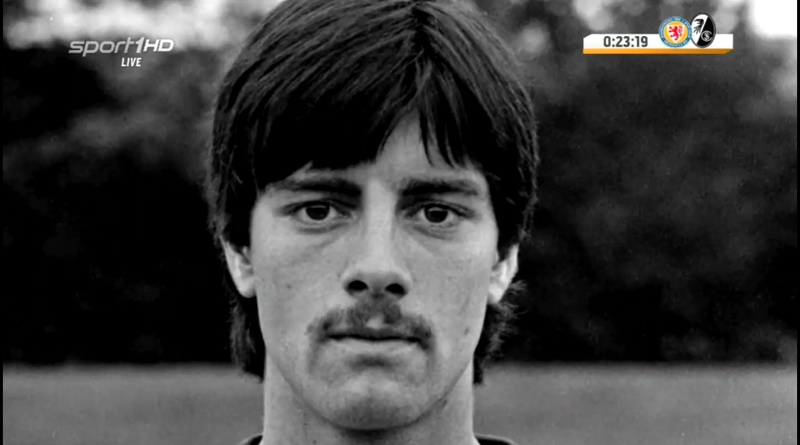 A most curious goal, not because it was spectacular, more because it resembled Freiburg’s first in a sense. 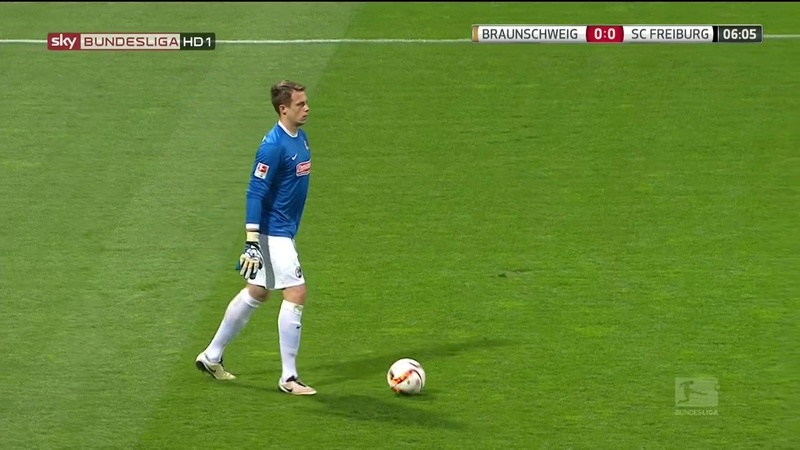 The only difference being the final move, Nöthe heading the ball home through Schwolow’s legs. 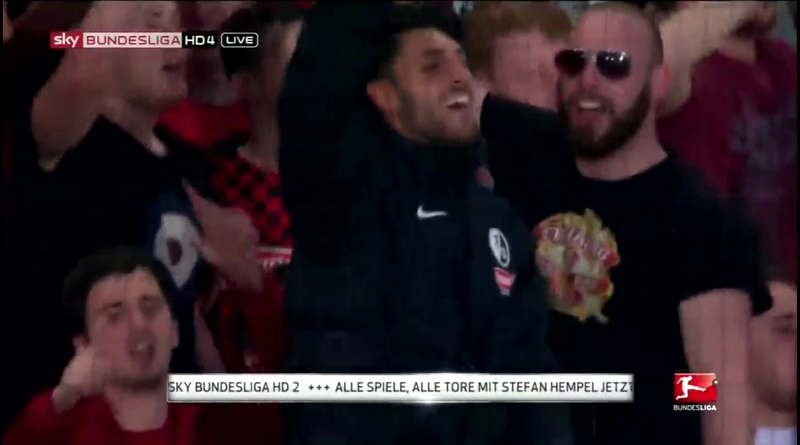 Freiburg however did not lose their heads and had the perfect reply just eight minutes later, the second goal being scored by Vincenzo Grifo. 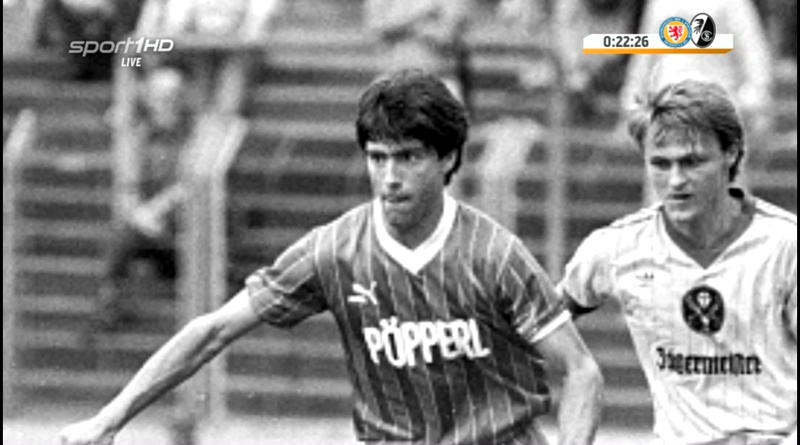 Their usually well organised defence was nowhere to be found, they had three players trying to close down Niederlechner but absolutely no-one in the vicinity of Grifo who if he wanted had all the time and space in the world to slot the ball home. 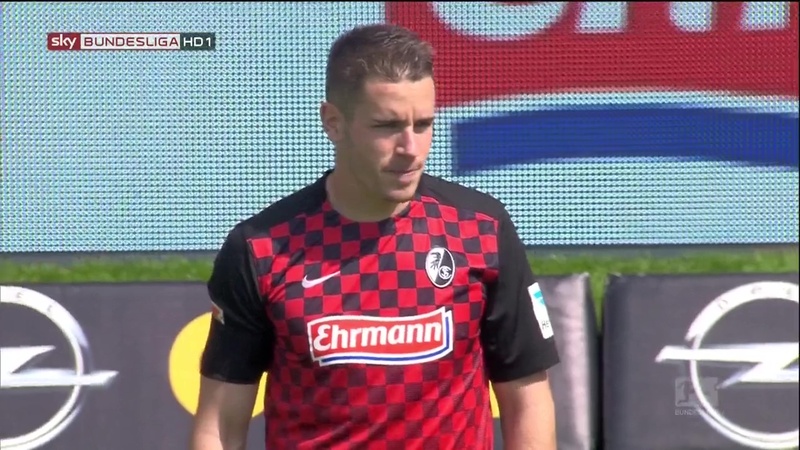 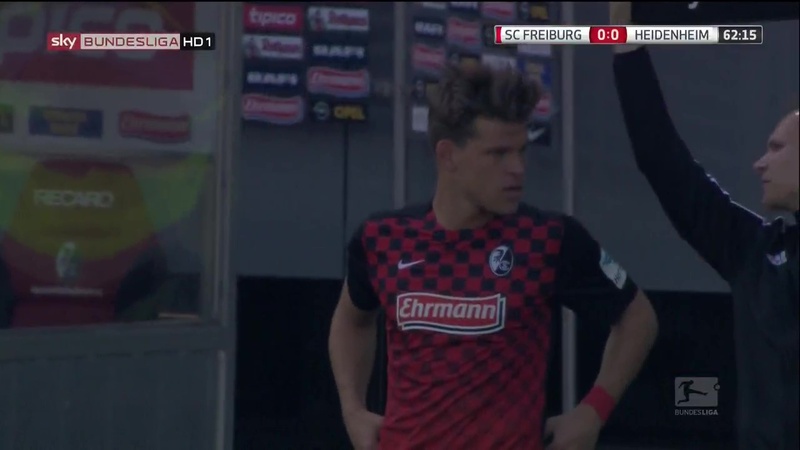 Three minutes later Freiburg added to their woes and made it 3-1, the goalscorer this time being Mike Frantz with Amir Abrashi serving up the assist. 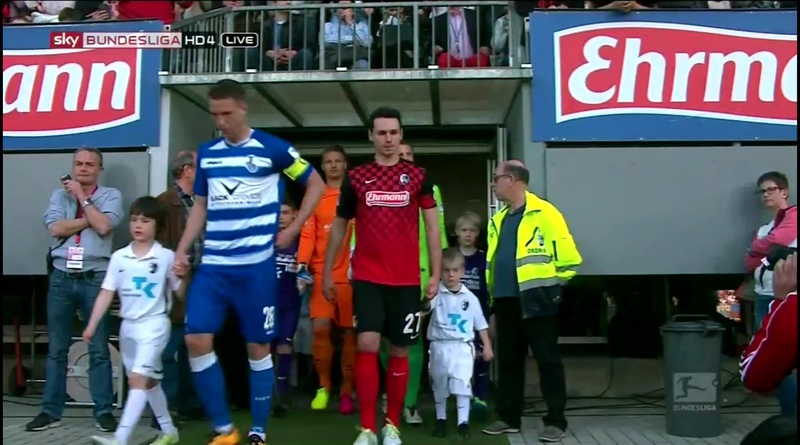 I would say Bielefeld doesn’t deserve to be 3-1 down but it’s criminal to leave Abrashi with amount of space and to not close down Frantz. 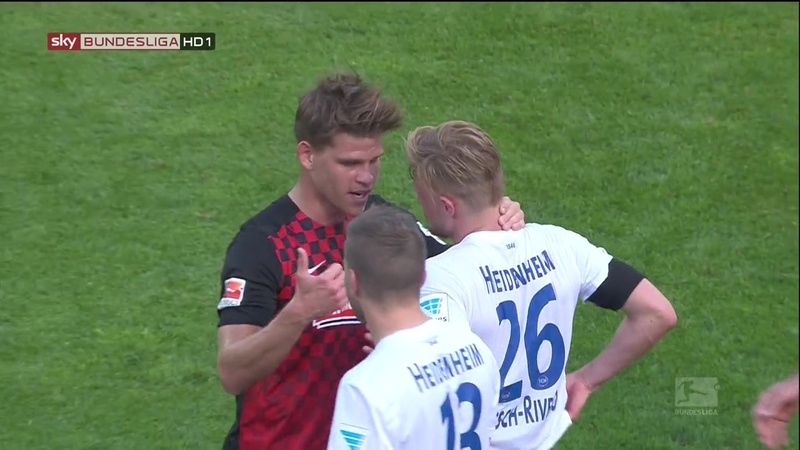 Overall them being down 3-1 seems a little harsh but based on the last ten minutes of the first half they most certainly deserve to be. 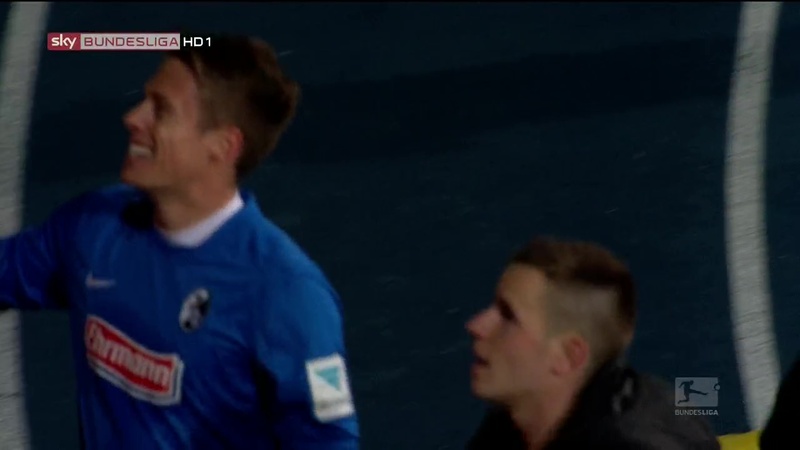 All their confidence after getting the equaliser seems to have evaporated. 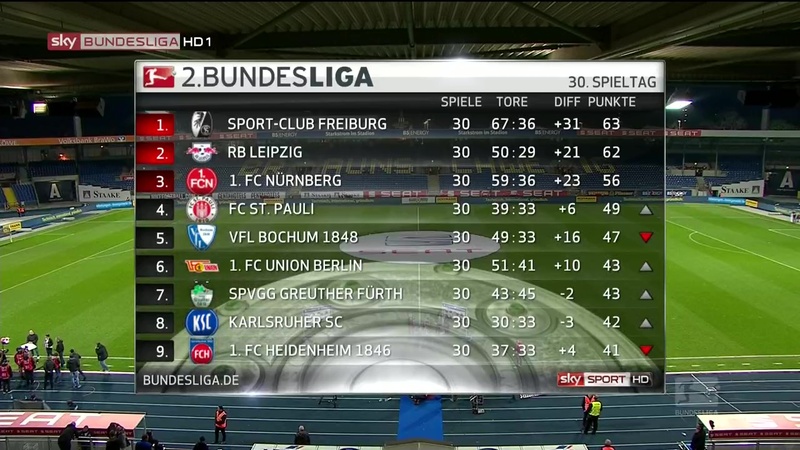 This wasn’t the most entertaining of games, but sometimes you don’t need entertaining, sometimes efficiency is more important and given Freiburg were to play Leipzig after this it’s obviously a high priority. 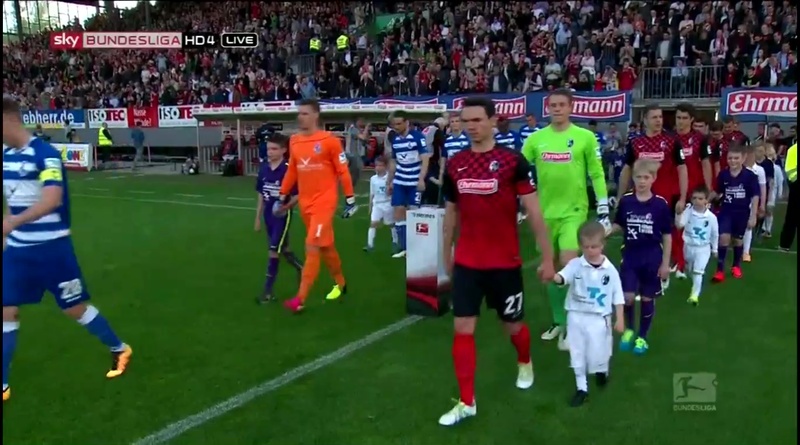 The second half didn’t greatly differ from the first, the only difference being that Bielefeld managed for a while to be threatening but they didn’t get anything for their troubles. 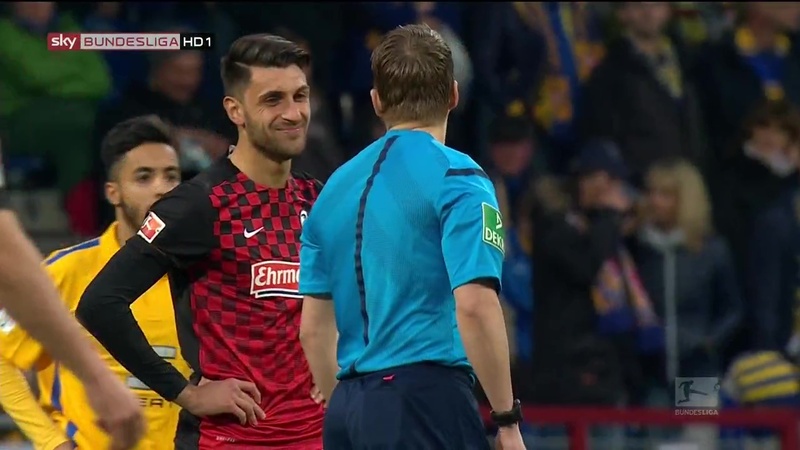 At the start of the half at least frustration set in for them, evident by the fact they picked up two yellow cards in as many minutes. 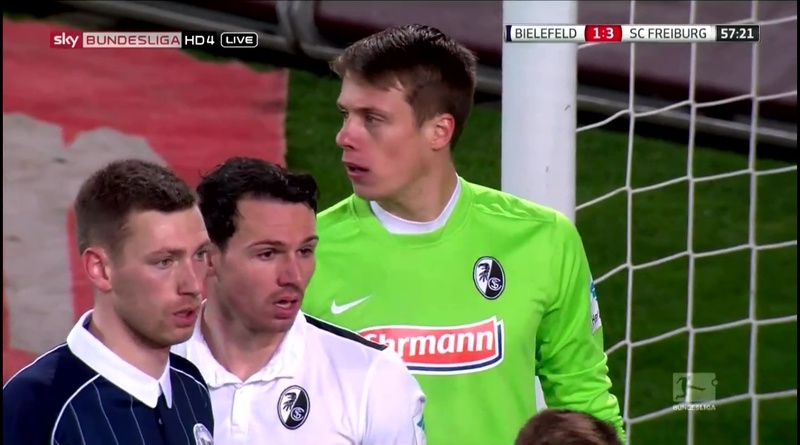 A fact which led to Marc Torrejon needed to replaced by Immanuel Höhn. 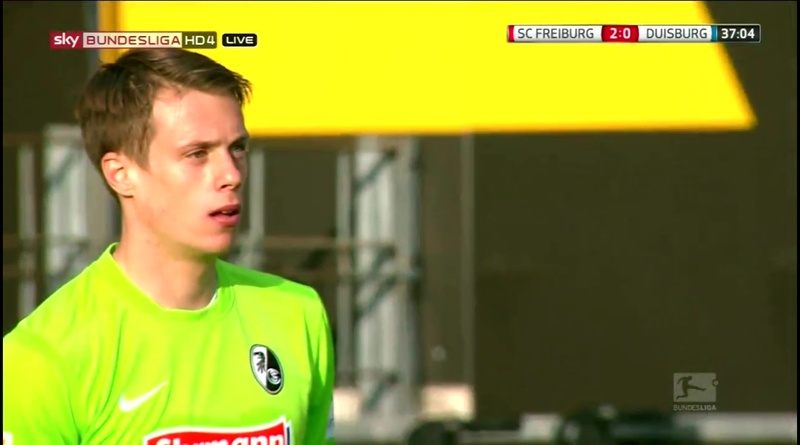 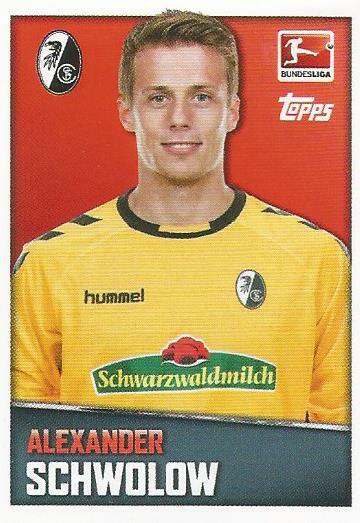 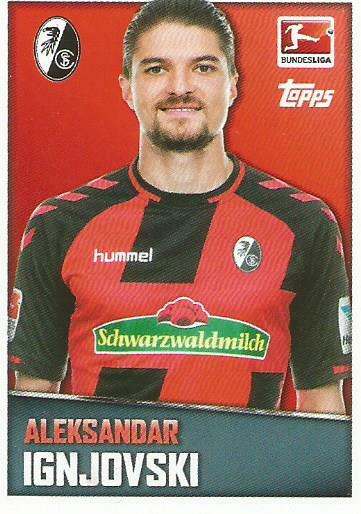 The third yellow of the game went strangely enough to Alexander Schwolow. 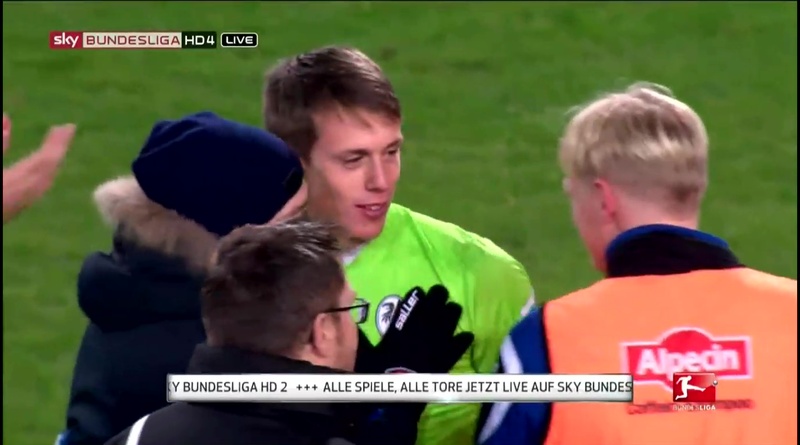 Not for time wasting or an ill timed tackle, instead he got it for talking back to the referee. 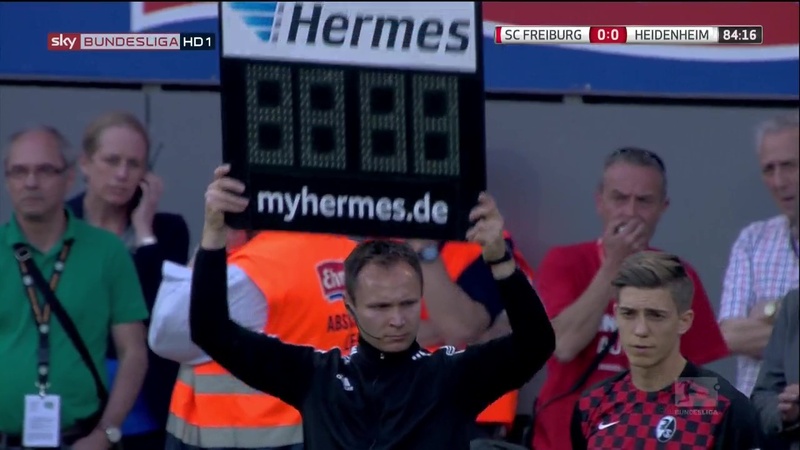 I’ve seen him get frustrated before but never behave that way. 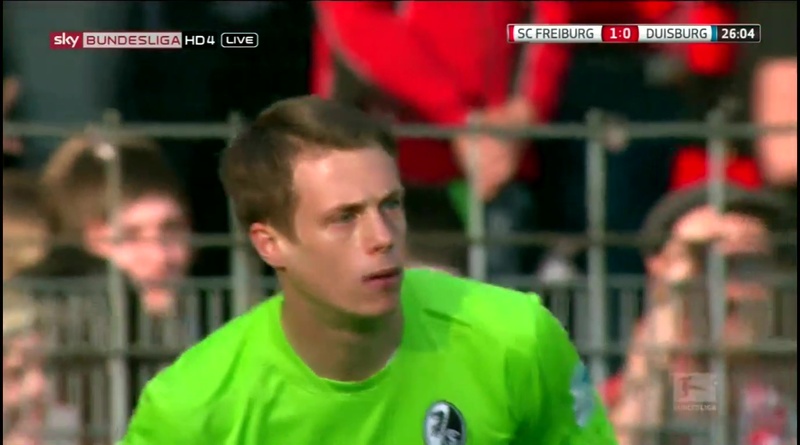 A short while later Niederlchener also got a yellow card, though I’m a little less clear what his was for. 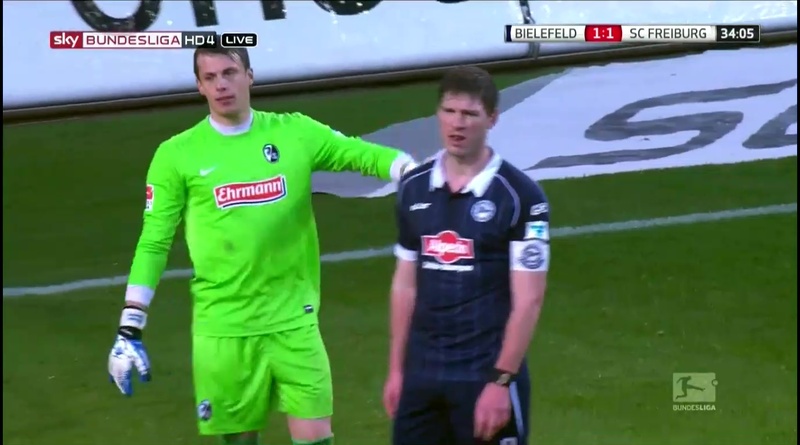 He handled the ball but only because he was being obstructed, a point he made very clear to the referee. 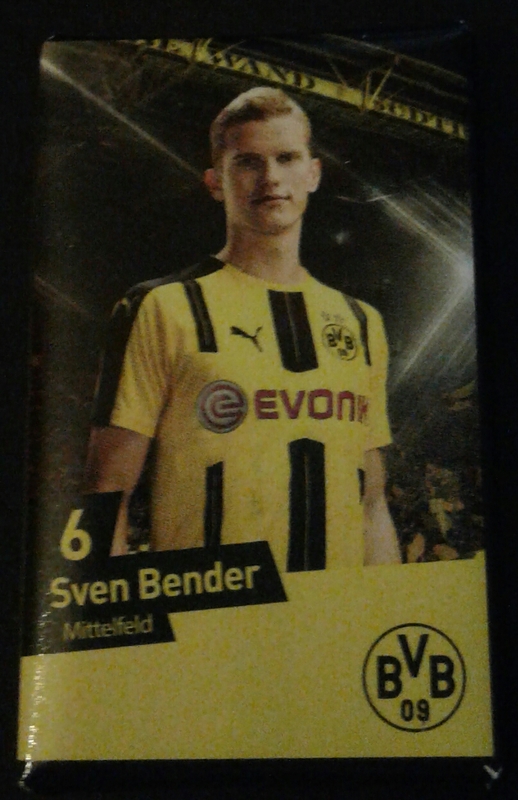 Thus I’m not sure if it was for the handball or his subsequent behaviour the card was for. 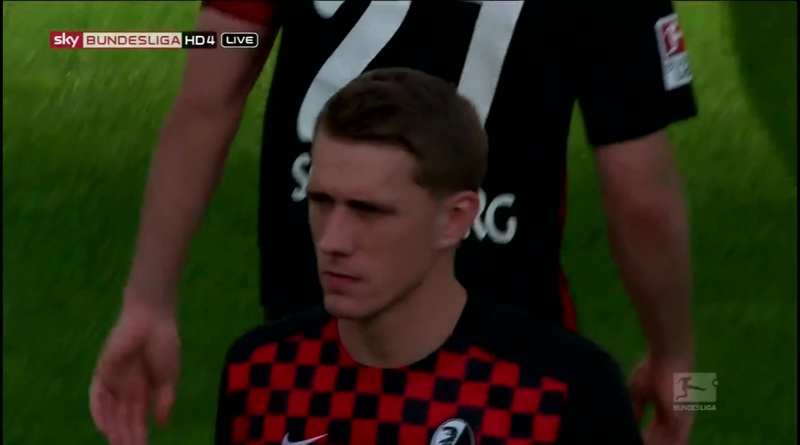 Not that it really matters, Freiburg’s lead was secure and despite Bielefeld looking dangerous for a while there was no real danger of them getting back into it. 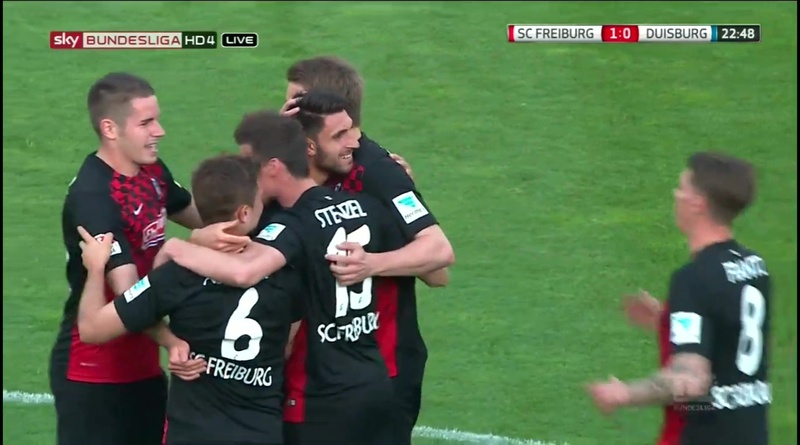 Any hopes of such a thing would have evaporated anyway because in the 77th minute Niederlechner made it four in what I have to say was a very cruel goal to concede, though it’s a great one for Freiburg to score. 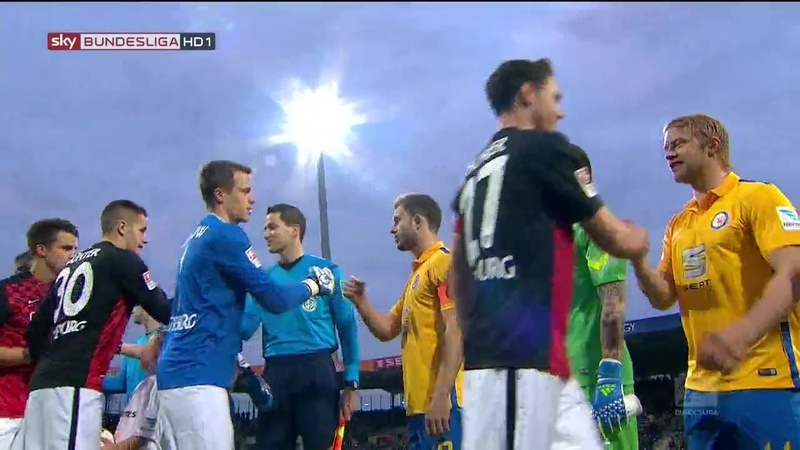 The three points means Freiburg kept pace with Leipzig who had a twist of their own on the day. 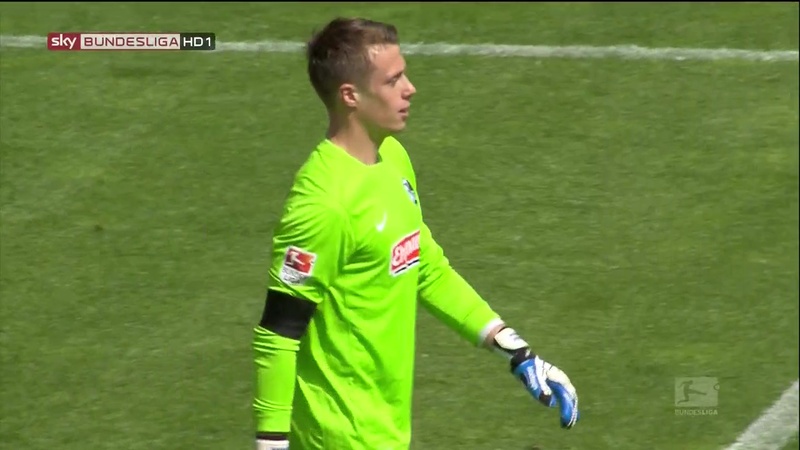 At half-time they were 1-0 down to Heidenheim, unfortunately they managed to turn that around and it ended up 3-1. 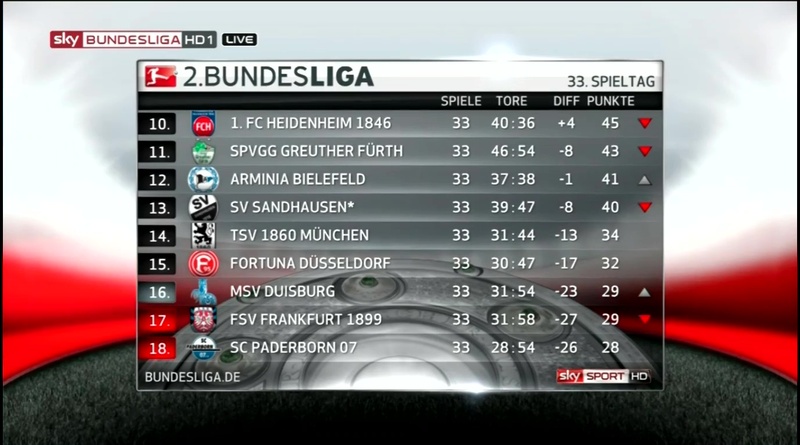 Had they lost it would have narrowed the gap to three points.